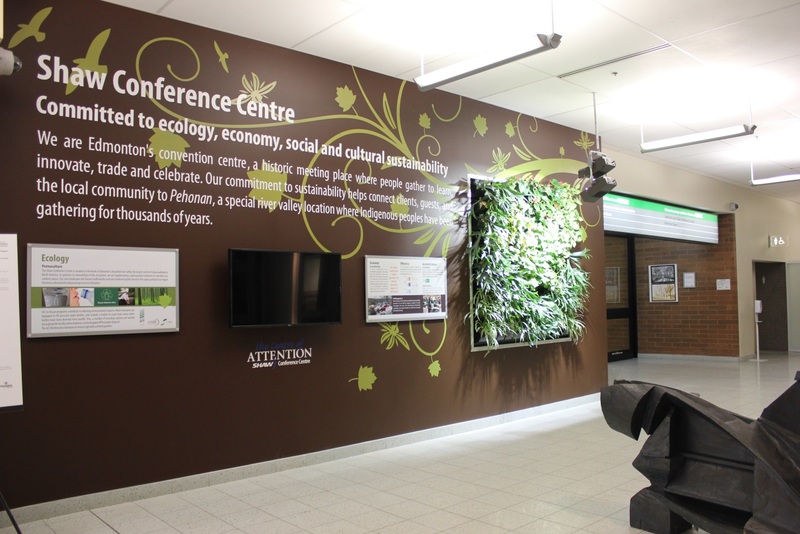 In addition to the Sustainability Wall, SCC will be transforming its outdoor spaces through the implementation of a new permaculture initiative which recognizes the cultural and ecological significance of the SCC’s location on riverbank. The new landscaping will feature traditionally used and medicinal plans found in our natural environment. The new design features reflect SCC’s commitment to environmental stewardship, which is increasingly a priority for Edmontonians and those who are considering Edmonton as a location for their event. SCC is a BOMA BESt (Best Environmental Standards) Level 2 certified facility with environmental best practices as part of everyday operations including a sustainability coordinator, an environment committee, Green Meetings tool kits for clients, food recovery programs, battery recycling stations and in-house vegetable and herb gardens. More information on Green Meetings and sustainability can be found on the Edmonton Convention Centre’s website and by following @EdmontonSCC on Twitter.